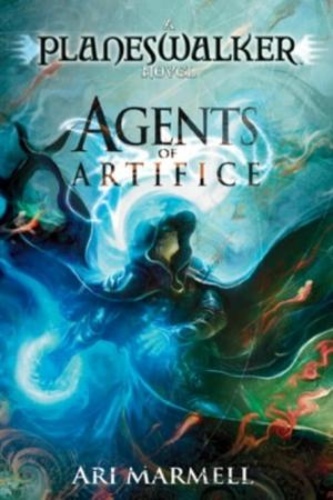 In Agents of Artifice, Ari Marmell reimagines planeswalkers, taking fans deeper than ever into the lives of the Multiverse's most powerful beings: Jace Beleren(TM), the prodigal son, a powerful telepath whose choices now will forever determine his path as a mage; Liliana Vess(TM), a temptress whose beauty belies a dark secret and even darker associations; and Tezzeret(TM), leader of an interplanar consortium whose quest for knowledge may be undone by his lust for power. Follow these characters in their quests for knowledge and power. Will Jace's choices lead him astray of the right path? Will Liliana's past finally catch up with her? Will Tezzeret allow hubris to obscure his vision?